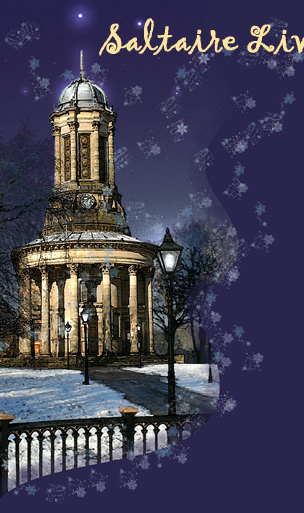 THE first of 24 inventive window displays will light up at dusk on Thursday, 1st December in the World Heritage Site of Saltaire, Yorkshire, as the Village turns itself into a Living Advent Calendar. Revealed one by one each evening until December 24th, the windows will remain lit until January 5th. In its seventh year, this popular event run by Saltaire Inspired, welcomes the wider public as well as local residents to view the illuminated creations. Mouse over to enlarge. Click here to download. Get Acrobat Reader here for free.